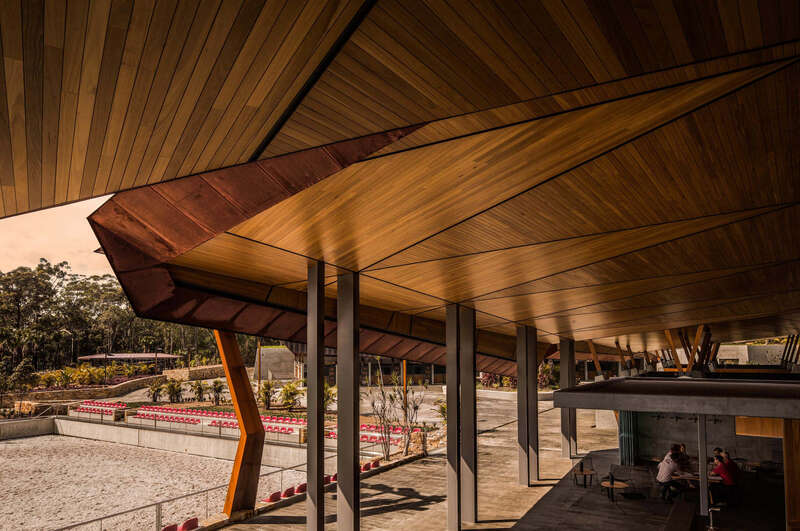 Designing for projects which have highly corrosive or damp areas can be fraught with challenges—even more so when utilising timber, which naturally expands, contracts and can degrade subject to environmental considerations. 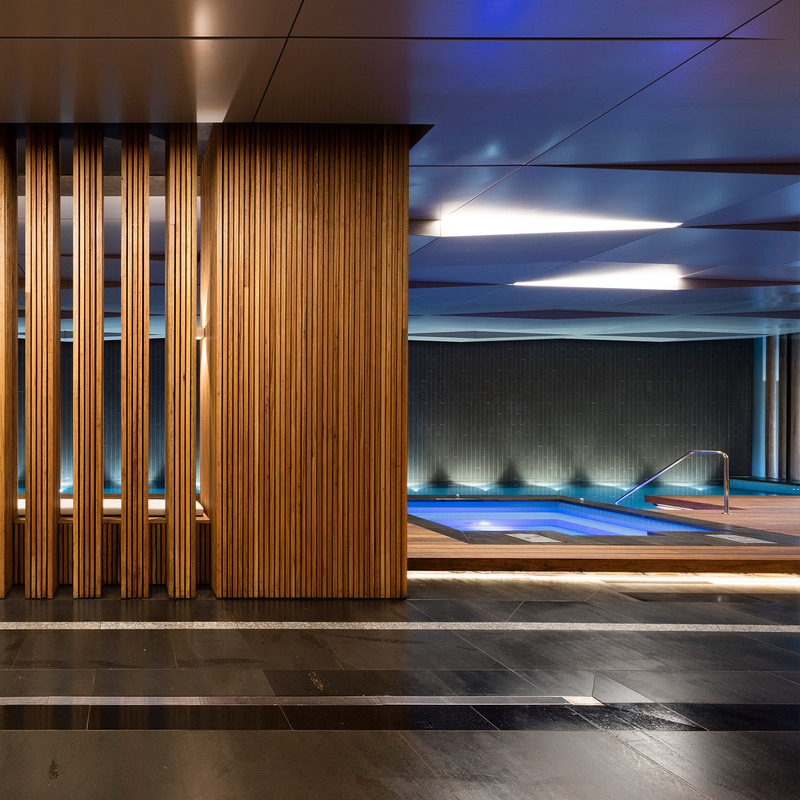 Sculptform’s Click-on Batten system offers designers and installers a variety of options when it comes to environments such as pool or spa areas. 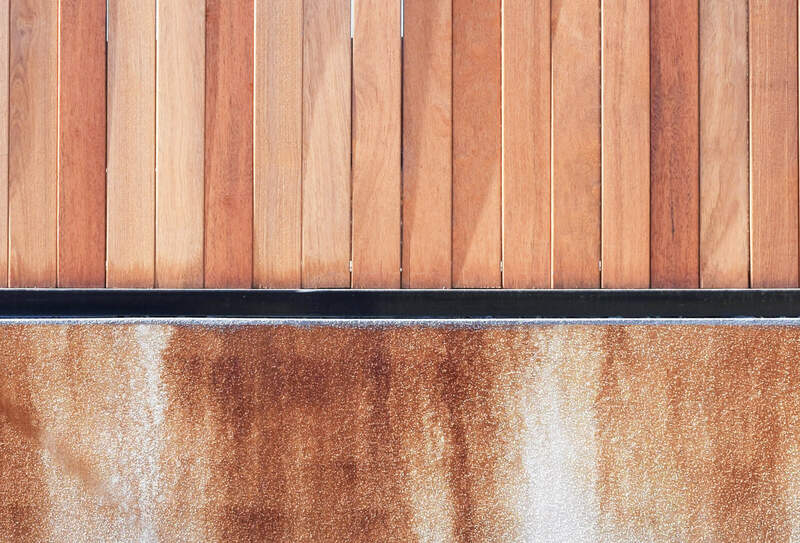 With everything from the corrosion resistance of the system components to recommendations around timber and timber look options, you have come to the right place to learn everything you need about designing for wet areas. Firstly, let’s go through each part of the system and its resistance to factors such as moisture, salt and chlorine. 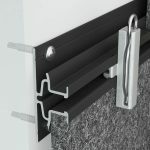 The Click-on Batten system consists of four main components. The aluminium mounting track is highly resistant to corrosion, and its powder coated finish will not be affected by any factors present in a pool environment. 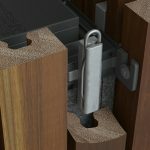 The clip is designed to connect to the mounting track at the desired spacing and engages with the batten, holding it in place. 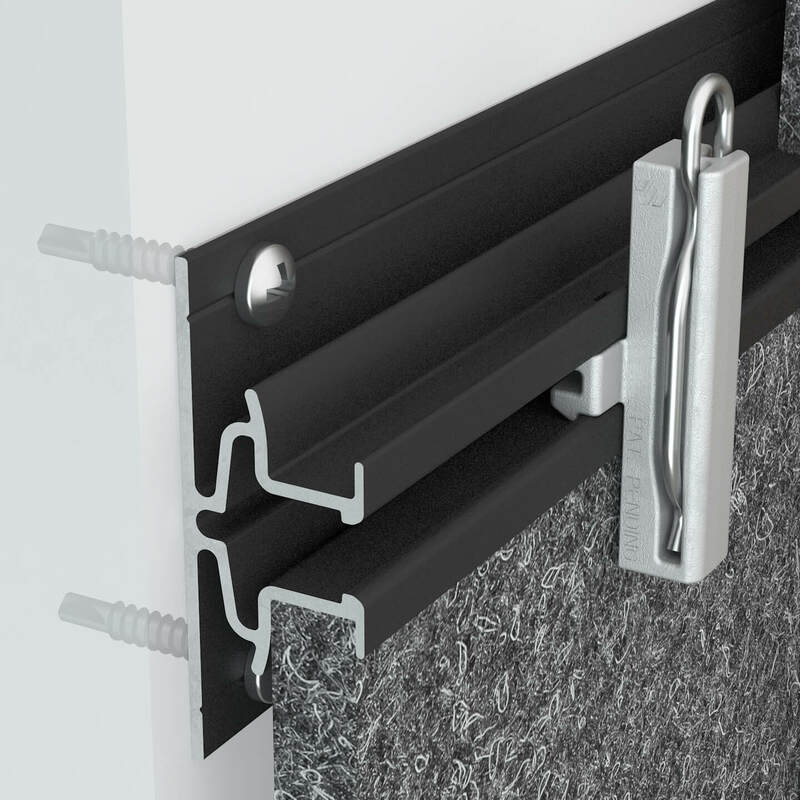 The clip is made of an aluminium alloy which will not corrode in damp environments. 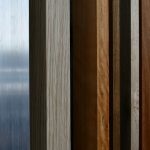 Battens are available in 7 timber species or aluminium with various coatings. 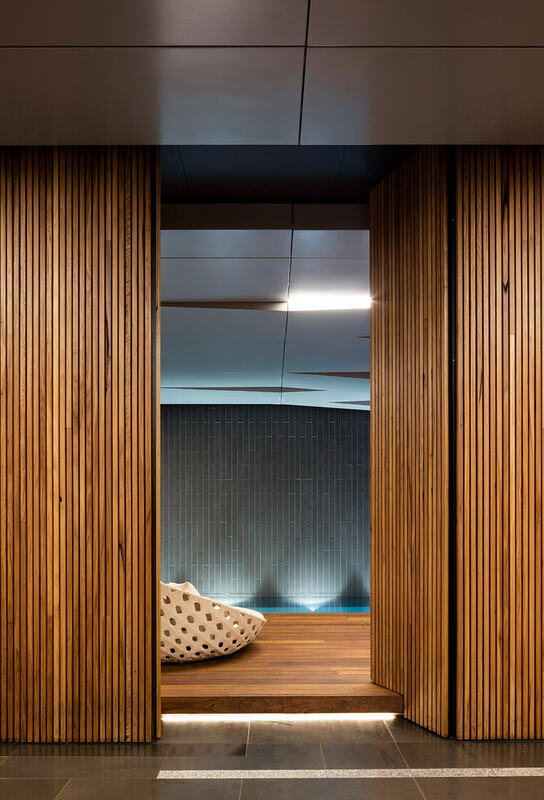 Most aluminium battens are resistant to moisture and can be used in pool environments, with the exception being timber veneered aluminium. Because timber battens are hygroscopic (tending to absorb moisture from the air), its moisture content will fluctuate based on the relative humidity of the surrounding air. Moisture content will increase as relative humidity does, and timber will inevitably expand. 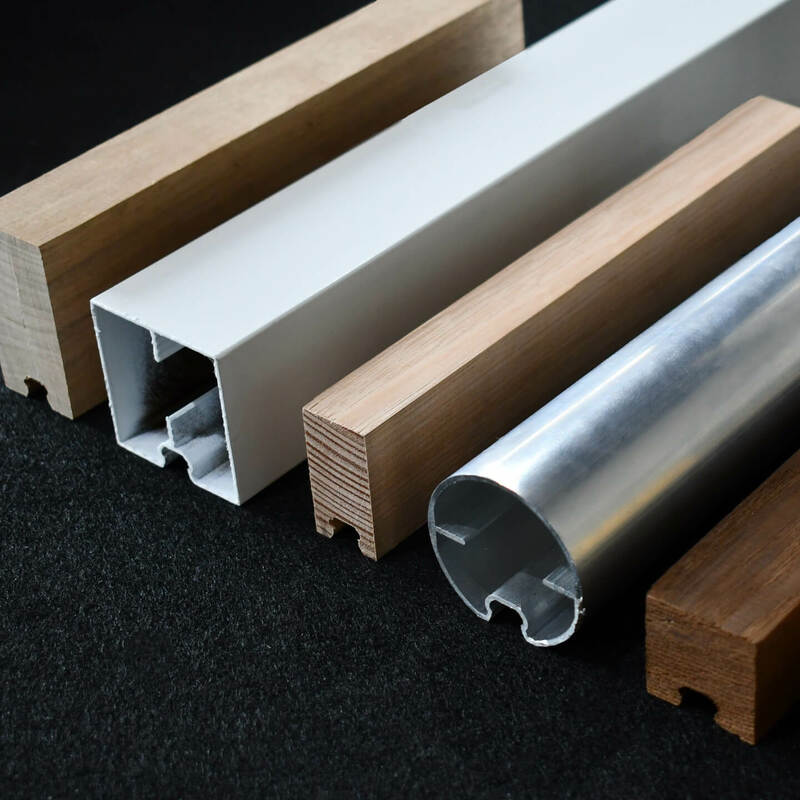 For aluminium battens: Powder coated, anodised and timber-look veneer finishes are all acceptable for use in damp environments. 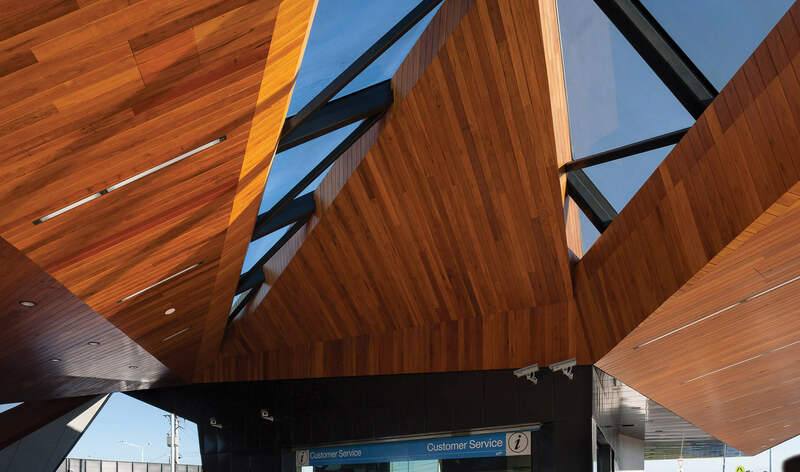 Timber veneer cannot be used due to the thinness of the timber wrapped around the batten. For timber battens: Clear oil and Enviropro exterior coatings provide sufficient protection to the timber from moisture. Clear Oil is recommended due to the fact it cannot crack or peel, along with its anti-fungal properties. Clear poly is not recommended for use in damp environments as the coating is not durable enough. 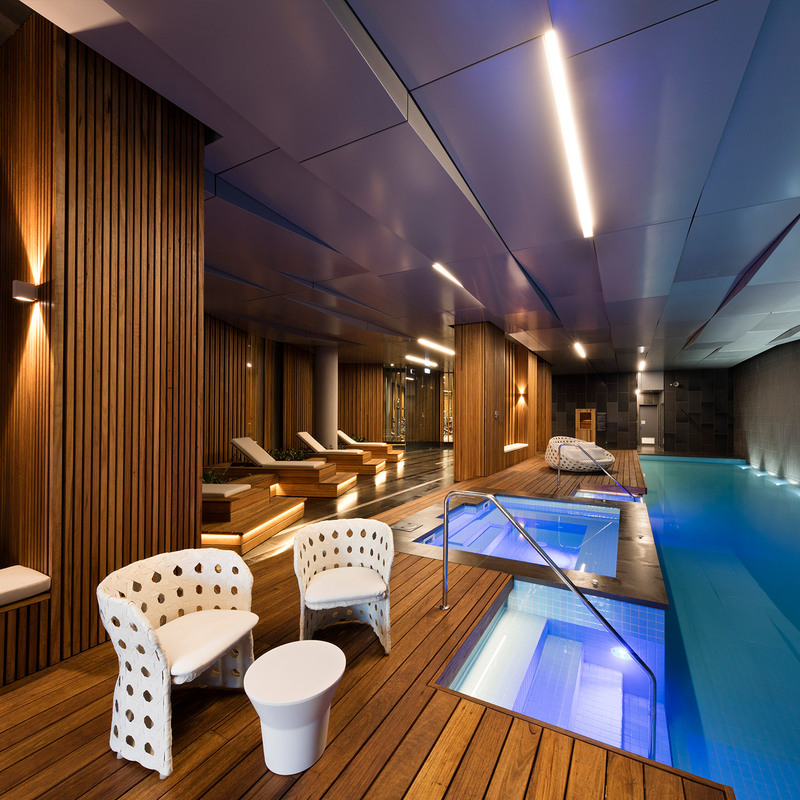 Timber is a popular option, however species selection is vital when designing for pool areas. Certain timber species are much more susceptible to movement and should not be used in damp environment. The main concern with using timber in high-moisture areas is the possibility of mould growth and degradation. 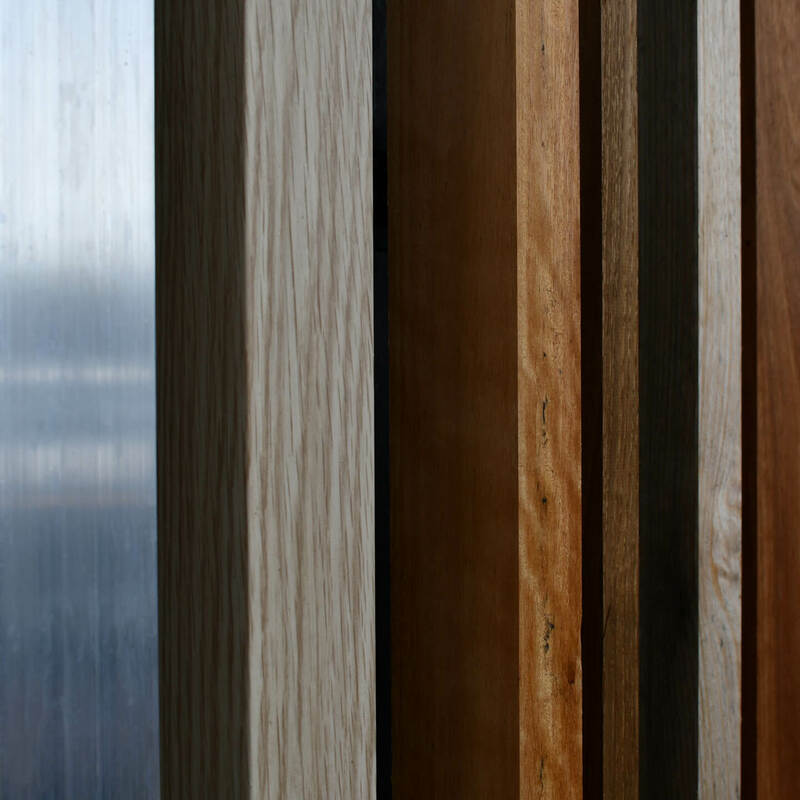 Species such as Spotted Gum and Blackbutt are rated as having Class 1 durability, making them highly resistant to these factors and ideal for use in humidity environments. 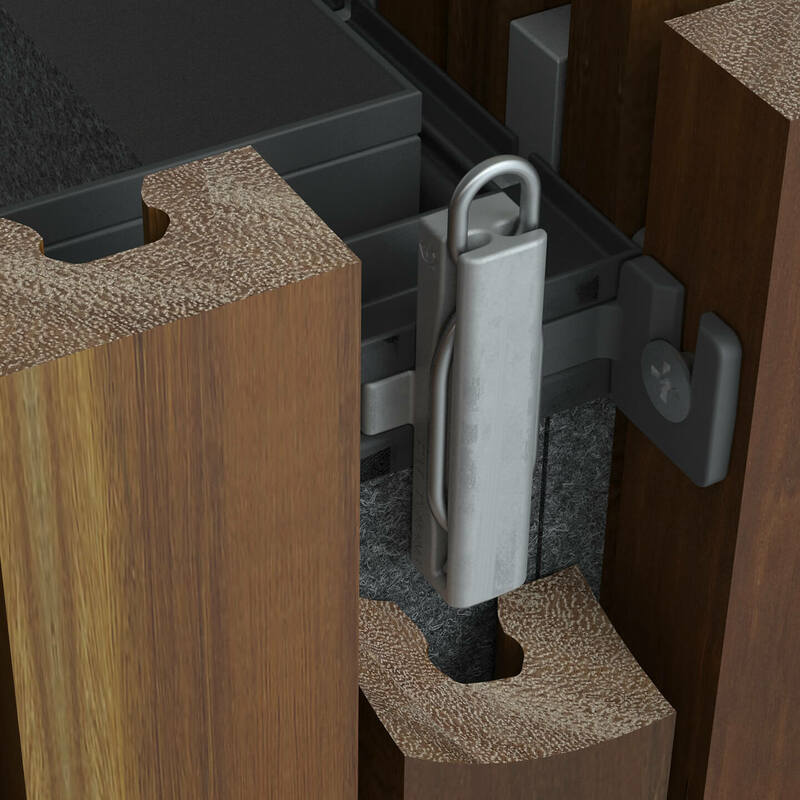 While all timber is prone to expansion due to moisture in the air, the Click-on Batten system is designed to accommodate this movement. 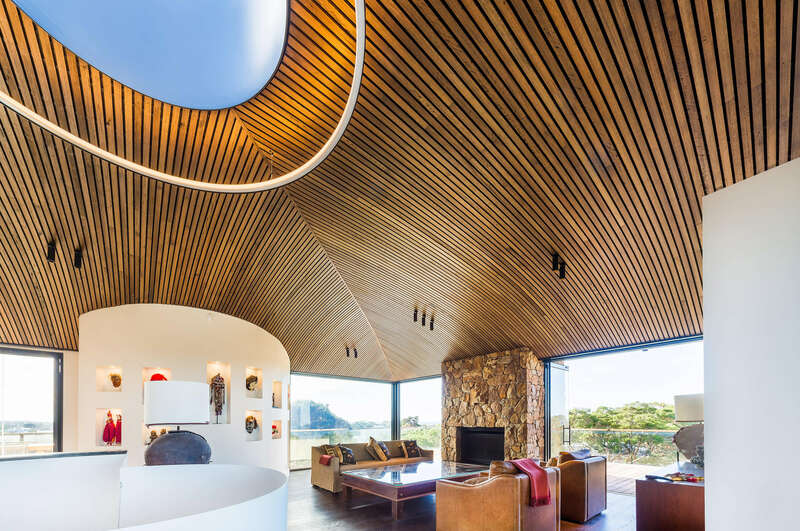 A coating such as Clear Oil will protect the timber while preserving the natural aesthetic. 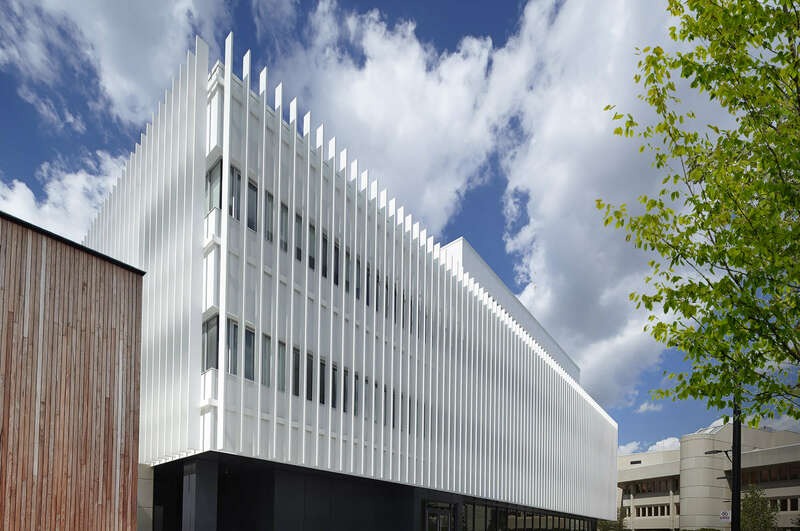 If a timber aesthetic is required and the timber species selected is not viable, Sculptform’s Timber-look veneered aluminium battens provide another option. These aluminium battens are coated in a timber-look veneer which is highly resistant to moisture. 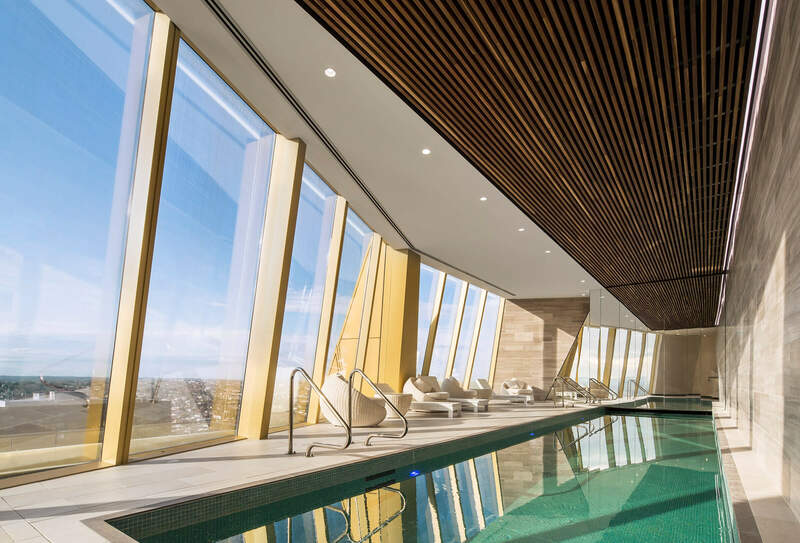 Sculptform’s Click-on Batten system provides options for designers and installers for any application, and wet areas such as indoor pools and spas are no exception. Contact us today on 1800 008 828 or email support@sculptform.com.au for advice on your project. 20 August Is timber leaching the elephant in the room?